How to check if your company is depositing EPF dues online? You are here: Home / Fixed Income (Bank FDs,RDs,PF etc) / How to check online if your Company has deposited EPF dues? 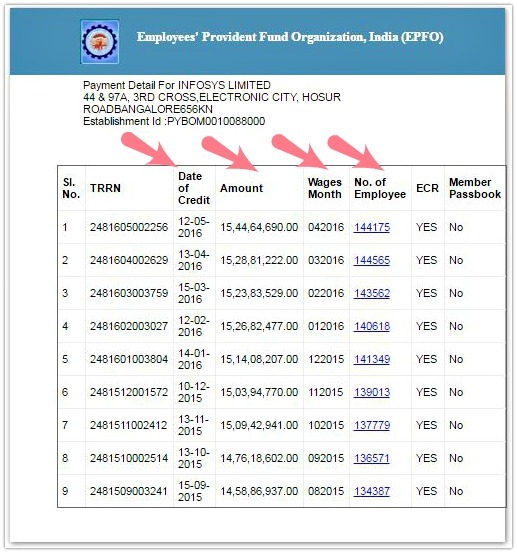 If you are employee contributing to EPF then you can also check if your name appears in the list of employees for whom PF dues have been paid on a monthly basis. 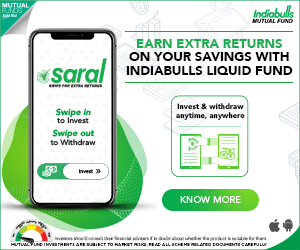 How to read your EPF Account number? Before discussing about the online provision, let’s first discuss on EPF Account number format. KN / 1234567 / 7654321. KN (Karnataka) here denotes the State in which EPF office is located. ‘1234567’ is Establishment code (company code – Max 7 digits) and ‘7654321’ is your EPF account number (max 7 digits). In case if your company has one or more branches they may mention it along with the Establishment code. For example: KN/1234567AAA/7654321. In this case ‘AAA’ is the extension number. The EPF old format was based on the 22 states available with corresponding 2 characters of region code, as listed below. New Region Code / EPFO Office code / Establishment code / EPF account number is the new format. For example – PB / CHD / 1234567 / 7654321. PB denotes for Punjab, CHD for Chandigarh PF office, 1234567 stands for Establishment code & 7654321 is your EPF account number. How to find the Establishment code for EPF Account? You can select ‘Estt. name’ option, key in the company name and click on ‘search’. You will get a list of companies which have ‘INFOSYS’ as the Establishment name. For example, if you are working for Infosys – Electronic City – Bangalore office then KN/0010088 is the old region code followed by Establishment code. Where as PY/BOM/0010088 is the new format. PY stands for Peenya (new region code), BOM stands for Bommasandra EPFO office, 0010088 is the establishment code and ‘000’ is extension number (which is blank in this case). 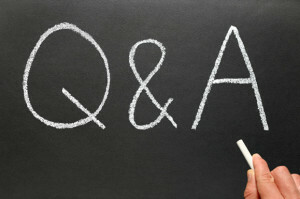 How to know if my company is depositing EPF dues? Let’s continue with the above ‘INFOSYS’ example. As an employee of ‘infosys’ you would like to know if they are depositing the EPF dues on a monthly basis, click on the ‘lock’ icon to get these details. How to check if my name appears in the list of Employees for whom PF dues have been paid? The above information is about establishment and also on total EPF dues that have been deposited. 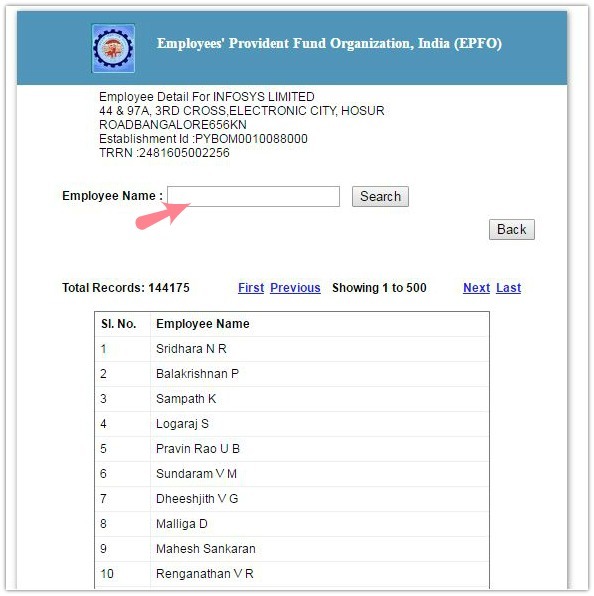 In case you would like to check if your name (as an employee who is contributing to EPF) appears in the list of employees, click on the ‘number of employees’ link (in the above image INFOSYS has 1,44,175 employees). Once you click on the ‘no. of employees’ link, you can provide your name in the ‘search box’ (as shown in the below image). If your name appears in the list then your company is depositing the EPF money in your EPF Account with the EPFO. You may kindly go through my latest article on the above topic with up-to-date Screenshots @ How to check if my Employer is depositing EPF amount with EPFO / Trust? How is EPF interest calculated? All you need to know about UAN! have take TDS or Not? Dear Pabitra ..Are you currently employed and contributing to EPF scheme again? Good article indeed. I wish to know if state government (WB) school teacher department doesn’t provide any PF no how should anyone will collect it from EPFO. Dear Suman ..Do you mean to say that you contribute to EPF but do not know your EPF number? Yes exactly the same. In WB government school teacher department they are not providing any PF no. to teachers. Pls advise how to get the same. Kindly check your salary slips, they may have EPF account number.. Else you can submit your grievance at, click here..
Also, try giving a missed call to EPFO SMS helpline number, in case if your mobile is registered with EPFO then you can get PF details to your mobile. I followed your article, I can see my employer(establishment) details but the records shown on the page are only from 2015. It shows money they have deposited since 2015 till date. I would like to see older records as I worked for them during 2013-2014. Please guide me how can I see old records. Appreciate your time. Thanks. I think old records are not made available online. Are you planning to withdraw old EPF balance? Are you currently employed and contributing to EPF scheme. Sreekanth, thanks for your response. I am currently employeed but my current company doesnt have PF deduction. However I want to withdraw PF money from my previous employers which are 4 to 6 year old. Also I had gap in between changing companies. I was unemployeed for more than 6 months in between. Please advise what is the best method to see all money from all employers together and withdraw it. Online or offline. Please guide. Kindly read this article : In-operative EPF A/c Helpdesk? excellent post. keep continuing good work. Good article but instead of this the easy way to check the EPF deposits in UAN site as well .